The latest attempt to dramatize Truman Capote’s classic novella is, I fear, no more likely to succeed at the box office than the legendary 1966 Broadway musical version with Mary Tyler Moore and Richard Chamberlain (and that, at least, had an engaging score by Bob Merrill), nor, I gather, present director Sean Mathias’ 2009 London effort with Anna Friel. Despite the considerable credentials and savvy of adapter Richard Greenberg, Mathias, and the rest of the production team, there is simply not enough dramatic impetus to the story to grip an audience. To Greenberg’s credit, he uses a good deal of Capote’s text. And though it’s delivered by the writer protagonist Fred (Cory Michael Smith) rather in the manner of Tom in “The Glass Menagerie,” the backstory he relates is nowhere near as involving as the Tennessee Williams classic. English actress Emilia Clarke (“Game of Thrones”) has something of the measure of the role, but lacks the magical quality that made Audrey Hepburn so delectable in the film version. Still, she’s frequently touching, and the Sally Bowles-like dynamic with aspiring writer Fred occasionally registers. Smith’s performance is proficient, but the lengthy exposition with which he’s saddled and his mostly glum demeanor grow tiresome. The supporting players, including Suzanne Bertish, Lee Wilkof, Eddie Korbich, Pedro Carmo, and the rest, all do credible work, and George Wendt and Murphy Guyer are standouts, but there’s little opportunity for any of them to really shine. 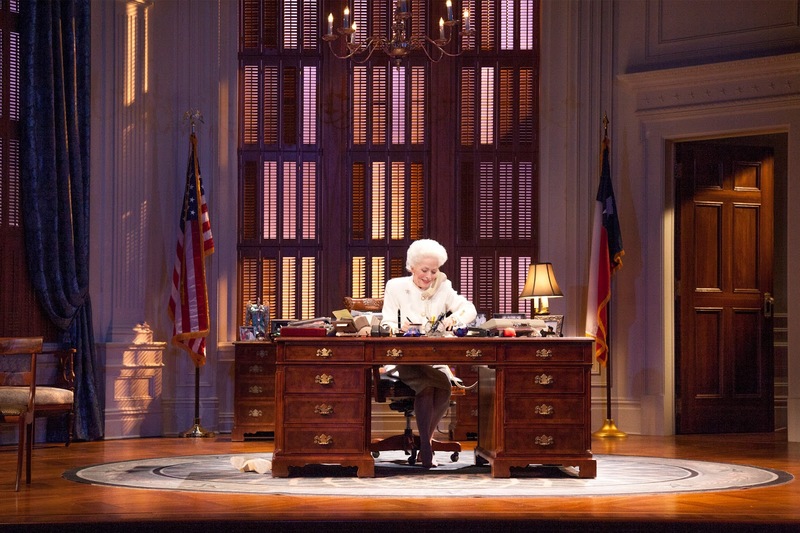 Master scenic designer Derek McLane’s sets and sliding panels seem perfunctory and drab. Ditto Wendall K. Harrington’s lackluster projections. Colleen Atwood has designed some nice 1940s frocks for Clarke which offer some visual interest. But Mathias’ direction never catches fire. David Merrick famously shut down the musical after four performances, noting that audiences were leaving the show in a depressed state. Sad to say, that pretty much describes the crowd filing out of the Cort Theatre. 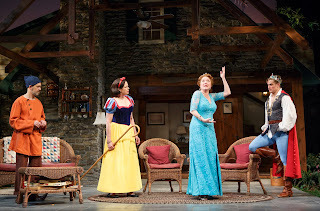 Christopher Durang’s latest – a modern-day comic riff on Chekhov involving adult siblings named after iconic Chekhov characters by their theater-enamored parents – could so easily have proven tiresome or overly precious. Or an amusing premise that missed its mark. Or one of those plays with a promising first act that fizzles in the second. But no. 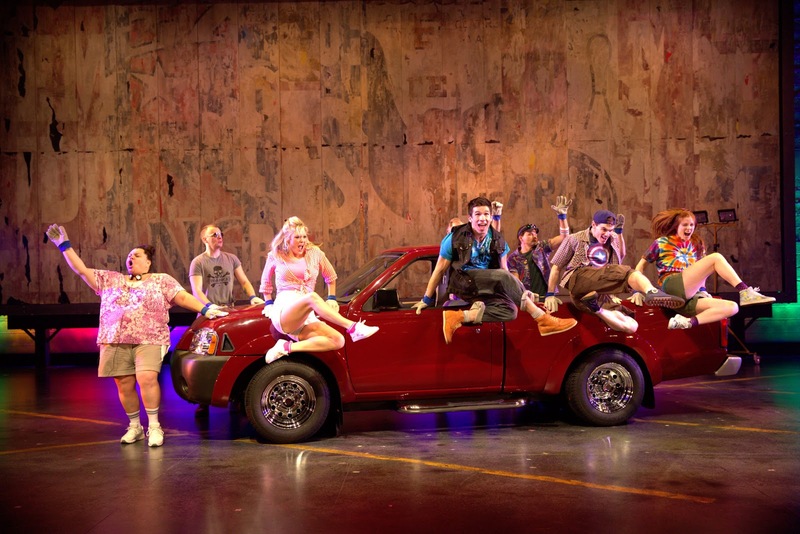 I’m happy to report the play is a laugh riot from start to finish, the funniest show on Broadway since “One Man, Two Guvnors” which, as those who saw that British import well know, is high praise indeed. Durang’s inspiration never flags. 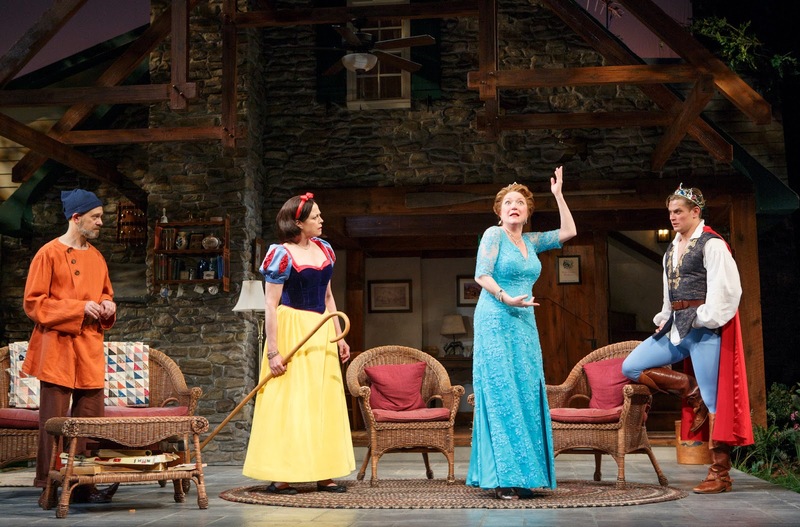 Two lonely souls -- gay Vanya (David Hyde Pierce) and dowdy adopted sisterSonia (Kristine Nielsen) – lead dull lives in their Bucks County farmhouse. They had taken care of their ailing parents and now have only each other for whom to care and squabble with. They’re being supported by their usually absent glamorous movie-star sister Masha (Sigourney Weaver). When hilariously self-absorbed Masha visits the family homestead in tandem with studly young lover Spike (Billy Magnussen), an endearingly vain aspiring actor with a penchant for removing his clothes at every opportunity, resentments and long-standing grievances bubble up. Adding to the Chekhovian ambience, visiting young actress Nina (Genevieve Angelson) who idolizes Masha, becomes part of the household, bringing with her overtones of “The Seagull.” For good measure, there’s Vanya and Sonia’s loopy cleaning lady Cassandra (Shalita Grant) who, as her name suggests, lords it over all of them with dire predictions about the future and occasional forays into voodoo. Every one of these performances is pitch-perfect, under Nicholas Martin’s assured comic direction. Weaver has time and again shown considerable comic chops, but never more effectively than here, as the narcissistically girlish Masha contriving to bring everyone to a costume party where she’ll dress as Disney’s Snow White, while Vanya, Sonia, and Nina play strictly supporting roles as various dwarves. Pierce is very nearly the straight man (and a supremely accomplished one at that) for three quarters of the play, but bursts forth in a glorious tirade nostalgically extolling the pre-digital days when people actually communicated with each other. 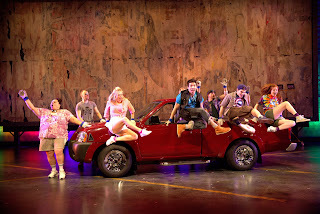 Durang keeps the one-liners coming fast and furious, but often surprises with his dialogue in the most delightful ways. I didn’t see it in its earlier incarnation at Lincoln Center, but David Korins’ set (illuminated by Justin Townsend) looks just fine on the Golden stage. Emily Rebholz’s droll costumes – including the Snow White designs and Sonia’s party dress – add to the fun. Lanford Wilson’s 1979 Pulitzer Prize winner couldn’t get a finer revival than Michael Wilson’s first-rate production, featuring as it does such nuanced staging and impeccable work by Sarah Paulson and the ever versatile Danny Burstein as, respectively, Sally Talley, a Protestant upper middle class nurses aide, and Matt Friedman, the Jewish immigrant accountant with whom she had had a week-long romance the year before, and has now returned to Lebanon, Mo., circa 1944, determined to woo her. The reasons the initial “affair,” as Matt describes it to Sally’s stated discomfort, didn’t click the first time around come out over the course of the evening, with surprising and poignant revelations on both sides. Class and religious differences are obvious obstacles, but we see that these two lonely, damaged souls share a bond that transcends all. The play is only 97 minutes, as Matt informs the audience in the breaking-the-fourth-wall opening moments, and the denouement is heartwarming, but I must confess that despite the play’s prize-winning track record, I found stretches of it were inordinately talky, and keenly felt the limitations of this being a two-hander. Still, if Wilson’s setup seems more than a little contrived, his banter for Sally and Matt was constructed with skill. Jeff Cowie’s spacious boathouse setting which its gazebo like structure (the “folly” of the title) provides much visual pleasure, and David Woolard’s period costumes and Rui Rita’s moonlit lighting scheme are lovely. 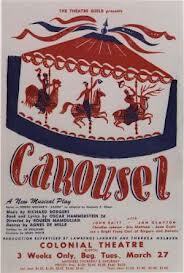 The New York Philharmonic’s “Carousel” was, quite simply, a triumph for all concerned, and the best live performance of the work I’ve ever seen, excepting the State Theater’s revival with John Raitt which I fondly recall seeing as a child. The orchestra on this occasion – gloriously led by Rob Fisher – was a marvel. Never has that opening Waltz, with which Rodgers cleverly opened the show rather than composing a conventional overture, sounded so sumptuous. That was only the first of many goosebump moments. 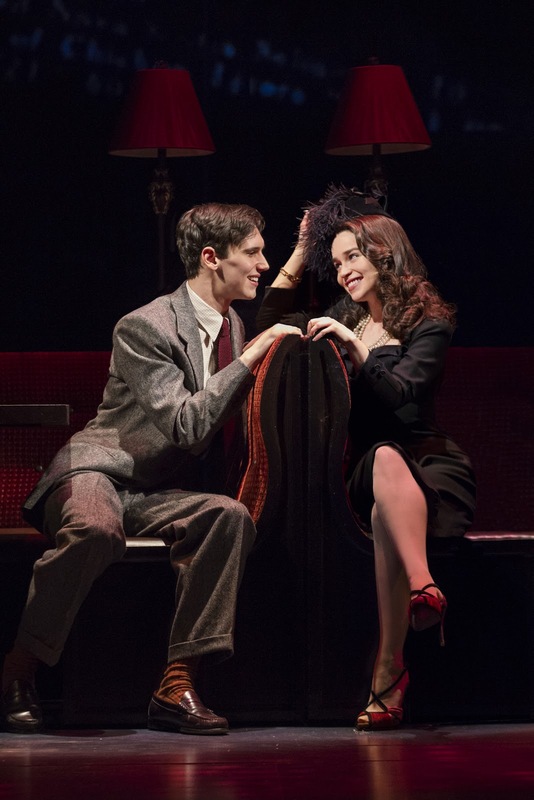 And the pleasures were not only musical, as John Rando’s direction was as finely detailed as for a fully staged production. Jessie Mueller, who proves her versatility with each new role (“On a Clear Day,” “Into the Woods” (in Central Park), and “The Mystery of Edwin Drood”) was a most delightful Carrie, showing off her soprano capabilities, too. Opera baritone Nathan Gunn has proven his mettle in musical roles (“Show Boat” and “Camelot”), and so was a logical choice for Billy Bigelow, even if his dark timbre was more in the vein of Robert Merrill and Alfred Drake, both of whom recorded the role, than Raitt or the film’s Gordon MacRae. He earned a stupendous ovation for the “Soliloquy” and delivered another showstopper in the second act with “The Highest Judge of All,” acting persuasively all the while. The famous bench scene for Julie and Billy was movingly sung and sensitively played, complete with falling blossoms. Jason Danieley was a refreshingly different Mr. Snow, less “overbearing” and more “young, seafaring” to quote Carrie’s description of her intended. The “When the Children are Asleep” sequence with Mueller was as much a triumph as the Julie-Billy bench scene, and nearly as long. 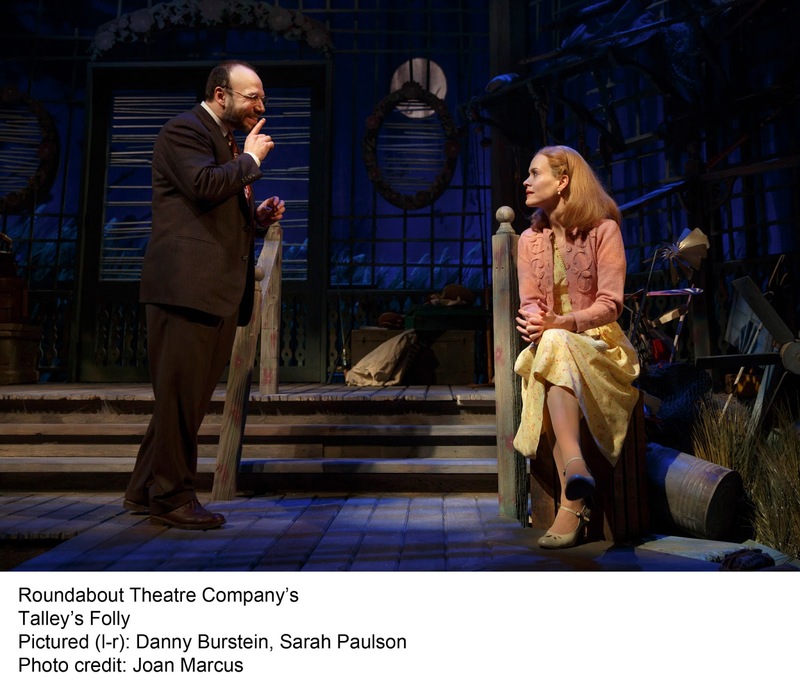 In speaking parts, Kate Burton made an ideal Mrs. Mullin, the lusty owner of the carousel, and John Cullum was ideally cast as the Starkeeper and Dr. Seldon (at Louise’s graduation scene), the embodiment of a New England small-town doctor. Though the songs and underscoring were all intact, “June is Bustin Out All Over” lost its dance sequence, though the relatively short stage version is nothing like the elaborate sequence in the film, and “Blow High, Blow Low” ended without its hornpipe dance. 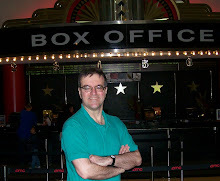 But Louise’s second act ballet – choreographed by Warren Carlyle (with some homage to original stager Agnes DeMille) superbly danced by Tiler Peck in the second act – was nearly complete except for some cuts necessitated by the elimination of some of the Snow children in that sequence. Still, with the New York Philharmonic in such ravishing form, that missing music would have sounded mighty fine. Though Hammerstein’s book was modified by Chad Beguelin, this was still a very full, satisfying evening. And it all played out against Allen Moyer’s stylized but perfectly evocative setting, expertly lit by Ken Billington. Miking, which used to be problematic at Avery Fisher Hall for non-classical events, was well handled in Peter Fitzgerald’s sound design with everything registering cleanly. At the end, the audience, which had been appropriately effusive in its appreciation throughout, rose to its feet as one. Thankfully, the magical performance will be telecast nationally on PBS’s “Live from Lincoln Center” April 26.